Guo, also known as Miles Kwok, fled China in 2014 soon before the Communist Party’s graft fighters detained his close associate Ma Jian, a former national security official who remains under investigation for suspected corruption. Interpol recently issued a “red notice” for Guo. A “red notice” is a request to locate and provisionally arrest an individual pending extradition. It is not an international arrest warrant, according to the Interpol website. Pacific Alliance Asia Opportunity Fund L.P. (PAX), an investment fund company, said it has been trying for years to get repayment of a loan borrowed in 2008 by Spirit Charter, a company that Guo controlled. The $30 million loan has grown to approximately $88 million after nine years as interest accrued, the hedge fund claims in the lawsuit. The lawsuit claims that Guo personally guaranteed the debt’s repayment but has repeatedly shirked his legal responsibility, using various means ranging from postponing the loan’s maturity dates to ignoring PAX’s notices regarding the debt. PAX is the main subsidiary of Pacific Alliance Investment Management. Caixin has not been able to reach Guo for comment. 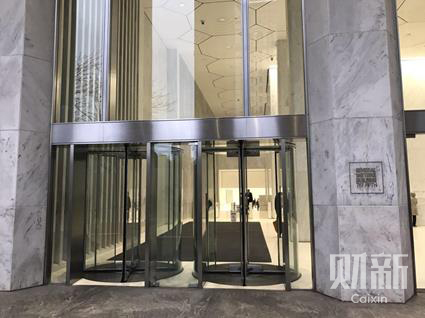 The lawsuit, filed on April 18, was brought against Guo before the state Supreme Court of New York on grounds that he has “engaged in a continuous and systematic course of ‘doing business’ in New York and is domiciled in the state,” according to a court document Caixin has seen. A previous attempt by PAX to secure the debt’s repayment through judiciary procedures failed, even though it won that court case. Shiny Times Holdings Ltd., a British Virgin Islands-registered shell firm, which had replaced Spirit Charter as the borrower, was liquidated in 2016 under court order to repay the debt it owed. But the firm was insolvent at the time of the liquidation, and PAX said it was unable to collect any of the money it claims it is owed. PAX said in its lawsuit that Guo bought his current residence on the 18th floor of the Sherry-Netherland Hotel in the city in 2015 for $67.5 million and that he also maintains offices at 767 Fifth Avenue for a Delaware company he owns. The 50-year-old Guo, the controlling shareholder in Beijing Zenith Holdings and Beijing Pangu Investment, was listed by Hurun wealth report as the 74th richest Chinese in 2014 with 15.5 billion yuan in personal assets. A 25-minute video footage surfaced online last week showing Ma saying he used his position and power to benefit Guo’s business and took over 60 million yuan in bribes paid by Guo. It is not clear when the video was recorded, in which Ma was wearing a light puffer jacket. Ma’s case was handed over to prosecutors in February. Guo also has close ties to Zhang Yue, who was the head of the Political and Legal Affairs Committee in the northeast province of Hebei when the graft probe of him began last April. Zhang went on trial last week at the intermediate court of Changzhou city, Jiangsu Province, for allegedly taking bribes worth 158 million yuan. A Caixin report published in March 2015 revealed how Guo, Ma and Zhang formed a close alliance, using security and legal power to meddle in business deals. In response to Guo’s subsequent actions attacking Caixin, Caixin has filed lawsuits against Guo and his companies in Beijing and in Hong Kong, accusing him of fabricating and disseminating untrue information.